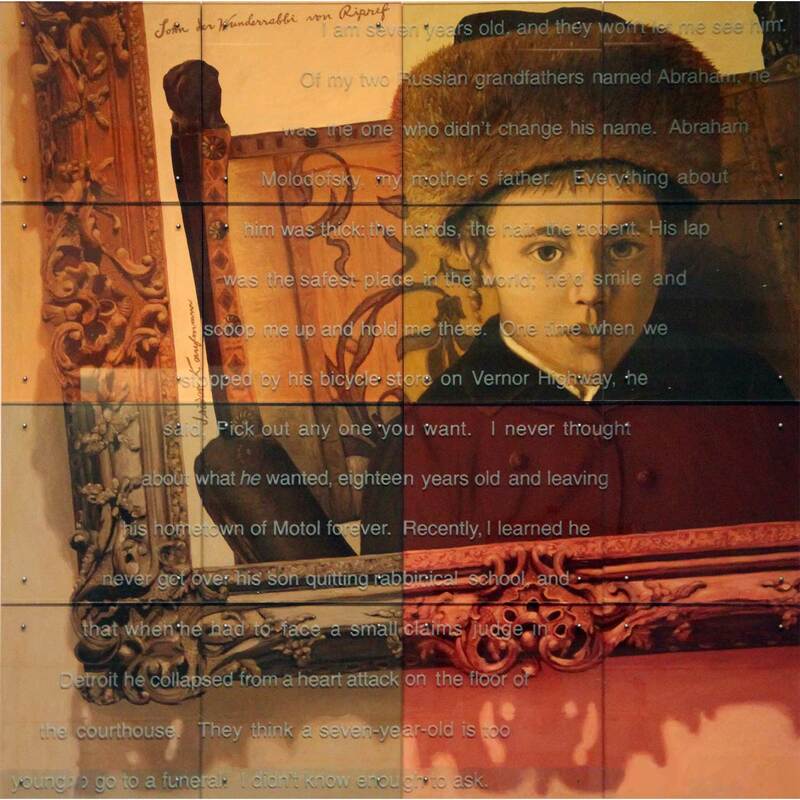 (After Isidor Kaufmann, The Son of the Miracle-Working Rabbi of Belz) Artist Ken Aptekar overlays paintings from the past with auto-biographical text from the present to help contemporary viewers think about history in relation to their own lives. A common theme woven into contemporary work in the Spertus Institute collection is the artist's struggle to understand his Jewish identity and its impact on him as an artist and world citizen. Ken Aptekar "I hate the name "Kenneth"
Artist Ken Aptekar discusses I Hate the Name Kenneth, a related painting in the collection of the Jewish Museum, New York. From The Jewish Museum, New York. Dimensions: 120 1/6 x 120 1/6 in.